The innovative management team at Connectify really knows how to meet the market’s needs. 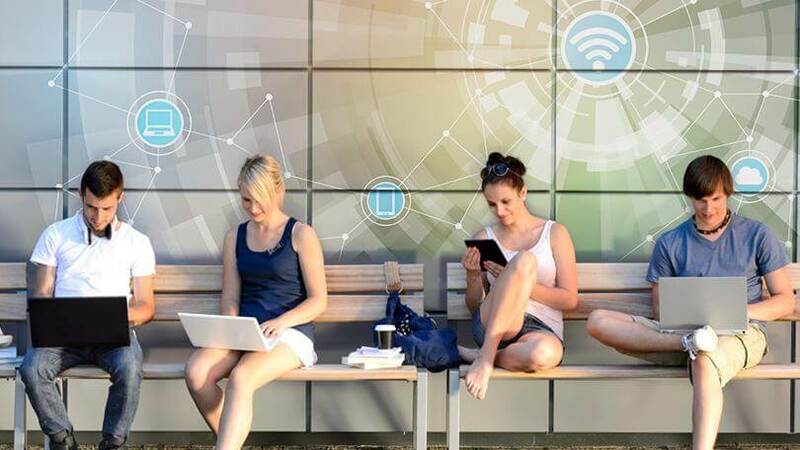 To date, the company has more than 75 million downloads and two billion hotspots that have been started by Connectify HotSpot. Connectify is a virtual router that helps users access all of their devices, anytime and anywhere. 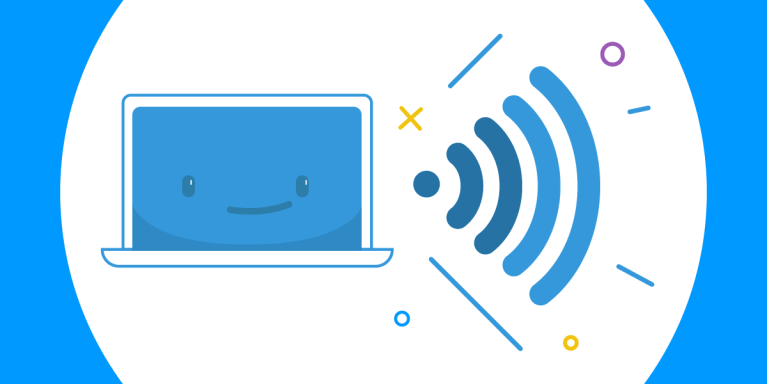 Connectify’s new product, Speedify cloud software, offers a very fast and reliable super-connection for PC and Mac users by combining WiFi, 3G/4G, and wired networks. Connectify relies on FastSpring’s ecommerce platform to manage its two online storefronts (Connectify.com and Speedify.com) in touch with global buyers and prospects. Switching from ad-supported model to ecommerce. Connectify launched in 2009 with an ad-supported business model. The team eventually decided that an ecommerce store would be the best solution for continued growth – but only with the support of a turnkey technology and service provider. FastSpring was Connectify’s clear choice due to their legacy as a leading ecommerce platform, experience with handling global payments and tax management, a straightforward pricing structure that eliminated any surprising add-ons and costs, and above all, the ability to create custom web storefronts. FastSpring is an essential part of Connectify's growth. FastSpring offers a comprehensive set of built-in ecommerce features in an easy-to-use platform. 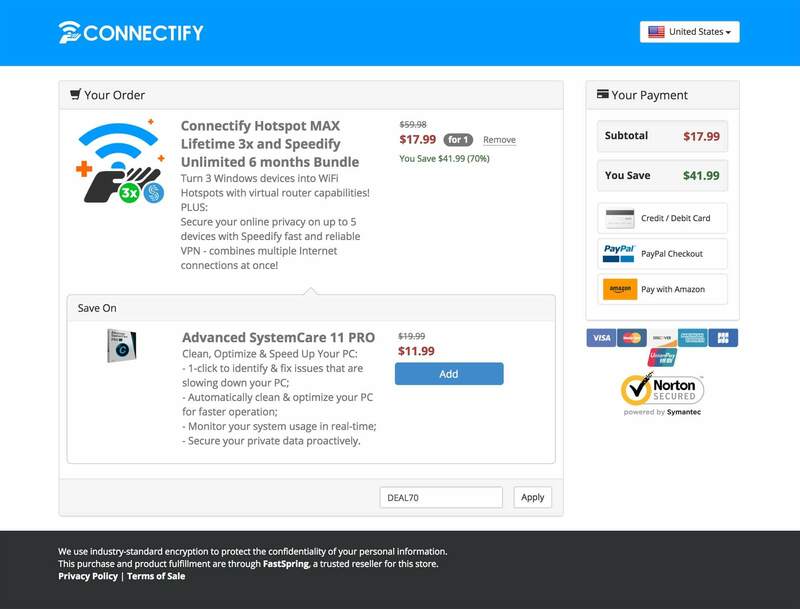 As the merchant of record for Connectify, FastSpring is the entity actually selling Hotspot and Speedify to the company’s customers. FastSpring manages the Connectify store, hosts the custom shopping cart, manages the back office operations including sales tax; maintains PCI compliance, handles recurring subscriptions and all fulfillment, as well as sends out automated emails and receipts. “They’re very, very reliable,” says CEO Alex Gizis. Connectify succeeds with automated back office operations, custom storefronts, fraud prevention, and reduced cart abandonment. FastSpring got Connectify’s custom online store up and running on their website in less than a week. From the moment Connectify implemented FastSpring’s ecommerce software, they had access to the full capabilities of the platform all from one simple integration. FastSpring’s Store Builder Library helped Connectify create two unique storefronts, complete with customized logos, fonts, and other distinctive elements. FastSpring also provides an easy process to set up coupons, limited offers, upsell/cross-sell options, and much more.